When you’re with a client, you’re incredible. Someone could be having the ugliest of emotional breakdowns, and you know exactly what to do next to take care of them. You can spot a limiting belief from a mile away. And you are 100% fluent in body language. You excel at knowing just how to serve your clients when they’re most in need. But put you in front of a room full of people in your target market…. You can’t even pretend that it’s just trouble with a learning curve. As a healing professional, you’re pretty darn insightful into your own hangups. And you know that the biggest thing standing between you and a wildly successful practice is your own mind. You may have tried to get over it yourself. You’ve done the yoga, you’ve done the mindfulness, you’ve done all those New Agey practices to shift that block, but it’s not budging. You’ve talked to all your friends in the profession. You’ve read all the books. You’ve even gone in for a therapy session or two yourself. And when that didn’t take, you might have looked outside your industry for help, investing way more than you’d like to admit in workbooks, courses, and that one online purchase that has Facebook targeting you with ads for 90 Day Business Reboots. I can help you feel just as excited –– and competent –– in working on your business as you do working with your clients. I know the particular flavor of frustration that comes with a one-step-forward, two-steps-back approach to building a practice from the ground up. I’ve experienced the ugly mix of anger and hopelessness that comes with taking on a turnkey practice that’s not turnkey at all, and is instead a giant rat’s nest of legal, financial and ethical issues. I’ve lived through it all, come out the other side, and now I help other healing professionals do the same. I know how to guide you from struggle to success, and from pain to profit. 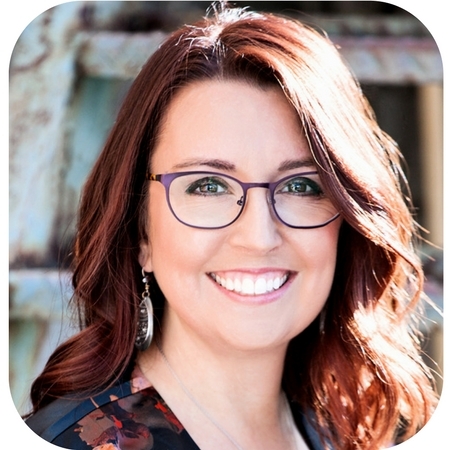 Through my 15+ years of experience as a social worker, therapist, and ICF-certified coach, I’ve developed both the know-how and the intuition to understand what’s holding you back and help you see it too, all while we create the action plan to bring your vision for your business to life. And I do it using a robust methodology based on evidence-based protocols that I developed specifically to meet the unique needs of helping and healing professionals entering the world of entrepreneurship. The result? The hundreds of professionals I’ve worked with and presented to learn how to cultivate the mindset to build a thriving business, embrace the joy that comes with mindfully serving clients they love, and create the meaningful life they want. You have an incredible potential to serve your clients. But you can’t do that unless you have both the skillset and the mindset to be an entrepreneur who’s both effective and empathetic.